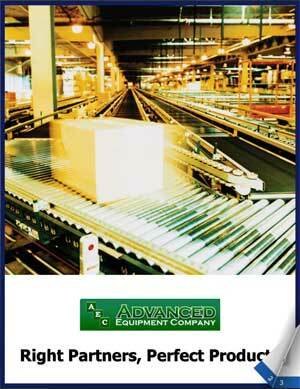 Advanced Equipment Company sells complete automated integration. For Advanced Equipment Company, it’s always been about customer service. Upon purchasing an existing business and opening anew in Charlotte, N.C. in 1960, owner Herman Pfiefer’s mission was create an entity whose reputation would be based not only on its expertise in storage and handling, but also on an unyielding desire to find ethical client-specific solutions. Pfiefer’s eventual ownership successor, Larry Abernathy, was on the warehouse staff at the time of the corporate transition and stayed on with the new enterprise before ultimately climbing the ladder under Pfiefer’s mentorship and helping usher in a new era of all-around systems work. “Back in those days, we sold stuff,” said Daryle Ogburn, an employee since 1978 and now the company’s president. “We sold casters, wheels, hand trucks, shelving and we did some small systems work, putting in conveyor systems, mezzanines and picking systems. Ogburn’s relationship with the business actually began while he was employed elsewhere as an engineer and was a long-term sales customer of Abernathy’s at Advanced Equipment. The two men talked intermittently about career opportunities, and Ogburn, who’d consistently balked at the idea, eventually agreed to make a visit to Charlotte to get a first-hand look at how things were done. Upon arrival, he discovered that a single “application specialist” was responsible for establishing contact with would-be customers, and that the same person would do project engineering tasks on any work subsequently done with that client – rather than simply concentrating on sales. “I really liked the model,” he said. “The thing I liked most about it was that I could still be myself and still be a good project engineer, but, with sales responsibility, not be stuck in the same environment all the time – going from one place to another place and maybe walking out of something dull into something fresh. The company workforce consists of 16 employees – 14 of whom are housed in the headquarters office in Charlotte and one apiece in North Carolina locations in Wilmington and Raleigh. Nine of the 16 are “sales engineers,” two more are focused on customer service and sales and one each are tasked with accounting procedures, operations management and business development. 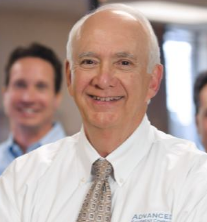 Abernathy still owns the company, and Ogburn has been its president since 2004. “If we have a GE or an Eaton or a Kellogg or whatever that we deal with in the Carolinas, and they say we really want you do to this project in Michigan, we’re going,” he said. The company typically pursues projects valued up to $1 million, thought it has occasionally expanded that threshold to $2 million for specific clients or situations. The most frequent customers, Ogburn said, are “world-class manufacturing operations” like GE, Becton Dickson, Eaton and Kellogg. Projects significantly larger than $2 million – such as major distribution centers – are happily left for the competitors that specialize in that scale of business. “We’re not the big guys,” he said. “One job for them may be $50-60-70 million and require probably as much software as it does hardware and controls. That’s not our cup of tea. But we don’t think there’s anybody better than us, though, at a $1 million and smaller job. Most of ours are well under $1 million, each job. We do best when the distribution is connected to the manufacturing group and the manufacturing group has a big say about it. One area where the company intends to maintain a place on the cutting edge, though, is in technology, where computer design and automated pricing capabilities allow the sales engineers to spend more time pursuing new business and less time with administrative details. “All of our guys are like virtual offices,” he said. “It doesn’t matter if they’re in here or out of here, they can be connected to our server for whatever reason, they can be doing their designs. We just make sure we absolutely stay on top of that and stay on the leading edge, so we can be everything we need to be for our customers and do the best to communicate with our suppliers. Other tasks going forward include a constant search for new young talent to make the company sharper, Ogburn said, alongside a perpetual aim to add more value to the services offered. 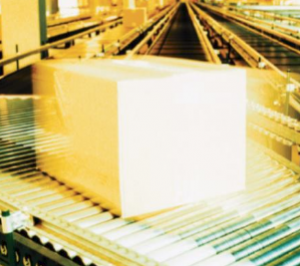 A dip into warehouse management systems is a possibility, thanks in large part to a partnership with a supplier – Hytrol – whose own line of software will enable Advanced Equipment to prosper, too. “That’s going to make it easier for us to approach a customer saying ‘We can take on more responsibility. We can provide you that software that will communicate between your in-house overall management data system and your material handling equipment through the plant.’ That’s become a very important thing in our industry.